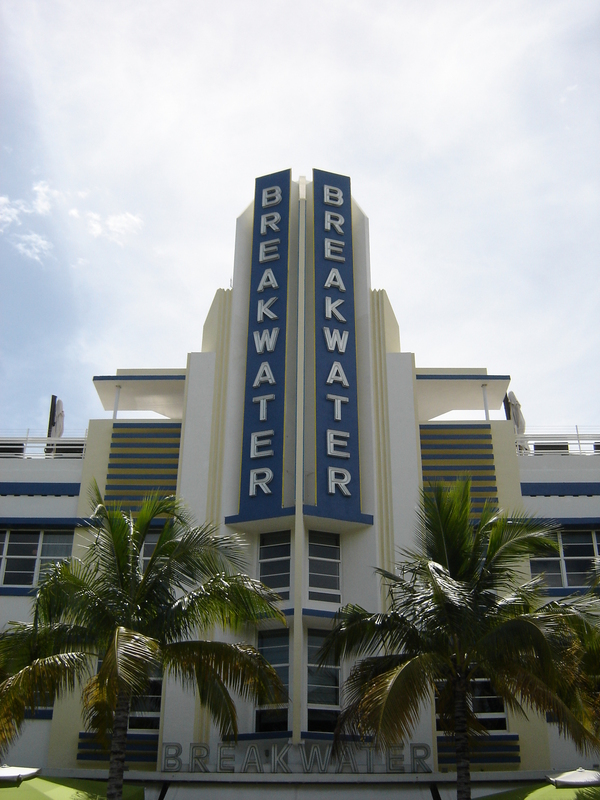 Breakwater Hotel was designed by Anton Skislewicz and completed construction in 1939. The Art Deco lines that make this building iconic are the nautical references like the cruise-like central tower and the eyebrows on windows and neon lighting. This entry was posted on Thursday, July 4th, 2013 at 3:03 am and is filed under Photo Galleries. You can follow any responses to this entry through the RSS 2.0 feed. Both comments and pings are currently closed.